Pearl District is consistently great! We love it! Food is amazing! Great wine list! Great service! Great as always. Food and service were superb! A real find. Just a smashing dinner. 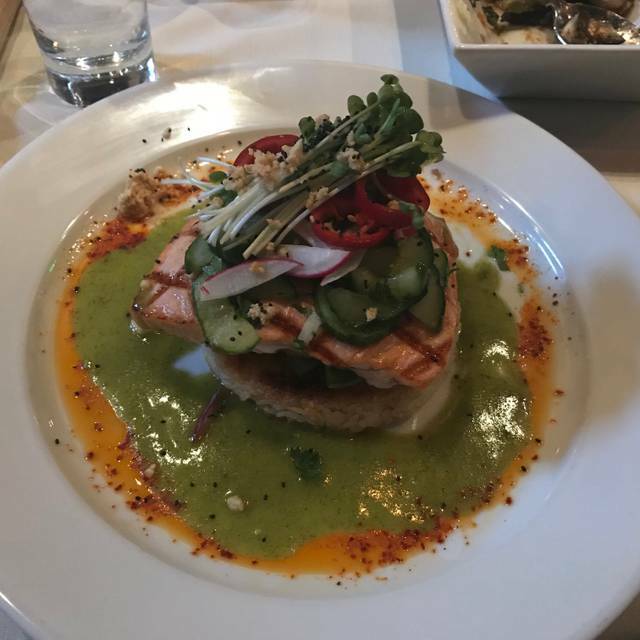 Excellent salmon along with a unique mushroom and duck appetizer. Always great food and awesome service. Any excuse for Pearl District is a good one! My friends and I had a great evening. The service was amazing. The food was delicious and good portion sizes. Can't wait to go back. We are a busy family and I seldom get to have a quiet "adult" dinner out. I would definitely come back here whenever I have an opportunity. Food was excellent, service was perfect (not unctuous, just attentive). The food was outstanding but what also stood out was the remarkable service. Both times we have been here (and we will return soon!) the delightful waiters listened so carefully to our concerns, made great suggestions, and showed an awareness of how ingredients work. This awareness is most unusual and welcome! Love Pearl District! Had a wonderful meal.... pork chop and a beef and pasta dish. Salads and dessert were also very good. It's a small restaurant so I like coming early when it's quiet and relaxing. Service is always above standard!! I made reservation a week in advance, still didn’t get good seats they put us kind on a Hall way. I asked them if they have better seats they said no. The waiter was ok not very friendly or knowledgeable. The food was good. I am not sure if I will return, maybe different waiter and better seating will make it more enjoyable. Fantastic restaurant. Love their drink menu and food is delicious. Never disappoints. Best food & service in the area, not as pricey as Saddle Peak. The food was exceptional. Oscar was an outstanding server. We enjoyed every moment we were there and will return soon. Great food and the service was wonderful. We will definitely go back again. Had a great date night at pearl district! Split the salt and pepper shrimp, was so good! Split the beet salad, also delicious. Loved the crispy goat cheese. We both got the filet mignon which was cooked perfectly. We loved it!!! Service by Chuck was extraordinary. Manager, Eric, was thoughtful. Food was excellent and we will definitely return. Food, service and ambience was excellent. Highly recommend it. Our waiter was amazing and very attentive. The food never disappoints. The food was eclipsed only by the service. delicious and we thoroughly enjoyed ourselves. Great to see a second location opened in Sherman Oaks! Congratulations to Peyman and Richie !!!! Pearl District never disappoints! We had dinner fir Valentine’s Day. The food was delicious and the waitress was delightful. Appetizers are EXCELLENT! Braised Ribs! Octopus! Lobster! 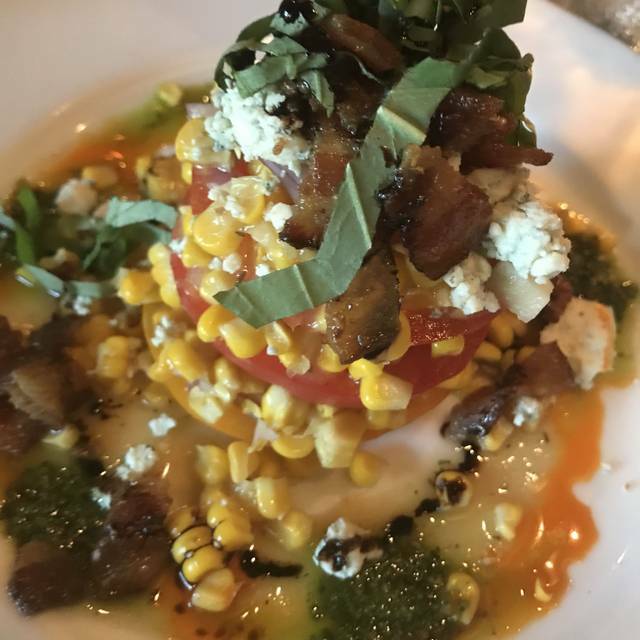 We love this restaurant and we feel lucky to have such a gem in our area. The restaurant offers creative food but in a consistent manner, which is hard to achieve. Pearl District is a local gem, always great food and service. We are never disappointed here and particularly love the daily specials. We only wish Chef would prepare his stellar steak tartare and liver pate appetizers more frequently as they are so D-Lish! All the appetizers are excellent and plentiful to share. 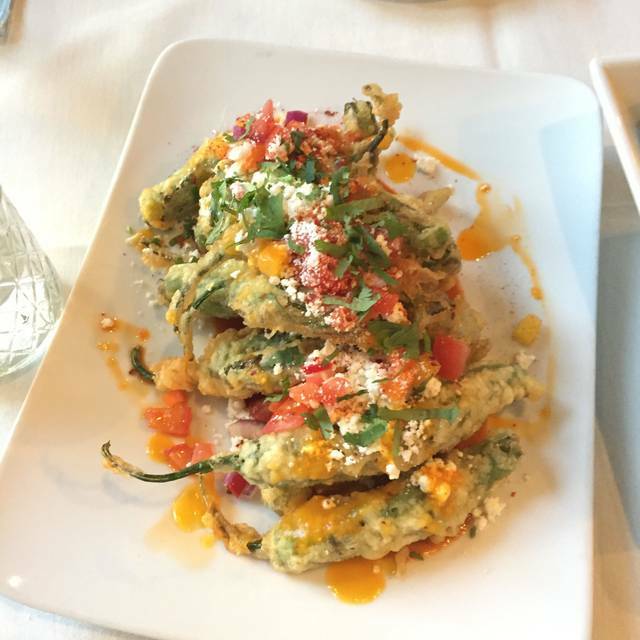 Every entree is flavorful, prepared properly. We always have attentive servers, always. The folks in Encino area are going to love PD's newest location and appreciate the experience of this restauranteur. They know food and customer service which is definitely going to stand out in the area. 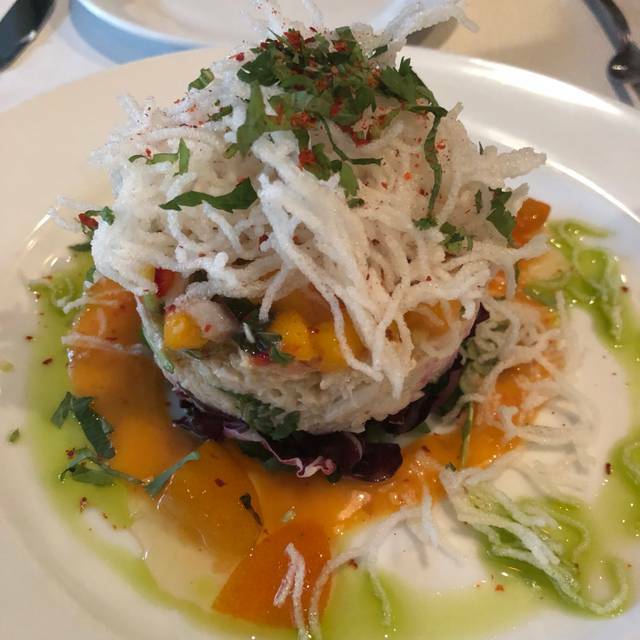 I dined at this restaurant for 2nd time and it delivered the same high standards - great food, great service, elegant ambience, and good value for the money. I highly recommend this restaurant. Staff at this restaurant were superb. Very friendly and accommodating. Food was quite delicious. Very good food. Would go again. High quality, good portions. Great service. Very comfortable and cozy. Great drinks! The food was pretty good. My fillet mignon was tasty and cooked properly, my husband’s skirt steak, although cooked properly (medium) was very chewy/tough. We were seated next to a table of four who were so loud (at times using f bombs) that we couldn’t even have a conversation. Not at all the restaurants fault. Our waiter was attentive and helpful. 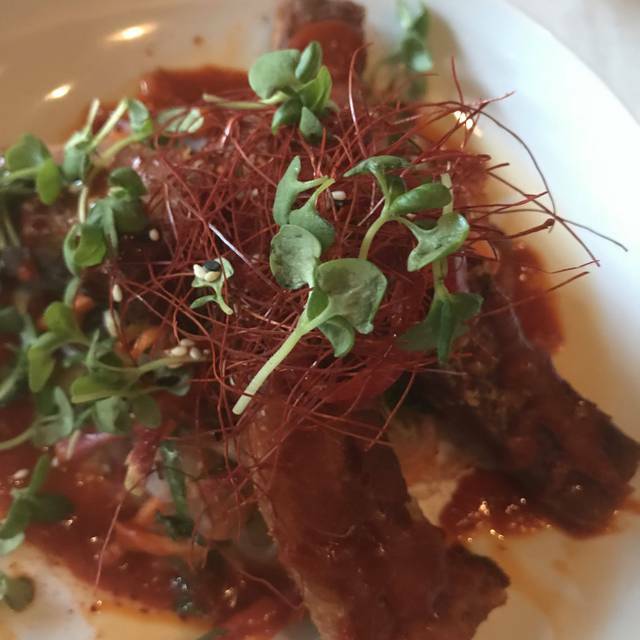 We love Pearl District —it may be pricey, but it’s the best restaurant in town! Pearl District used to be a pearl. Maybe it has changed because they are opening a new restaurant in Sherman Oaks and they think they are a “bigger” fish now. I think not! The test of a good restaurant is how an issue like this is handled. Unfortunately, Pearl District needs to train their regular servers as well as the newcomers who will open their new restaurant. Rudeness is unacceptable. We will not be regulars anymore! Always wonderful dishes- special preparations. Relaxing- easy and natural staff. A pleasure. Terrific place in TO/WLV area. A bit pricey. Will return. Dined at Pearl District with some friends celebrating two birthdays. 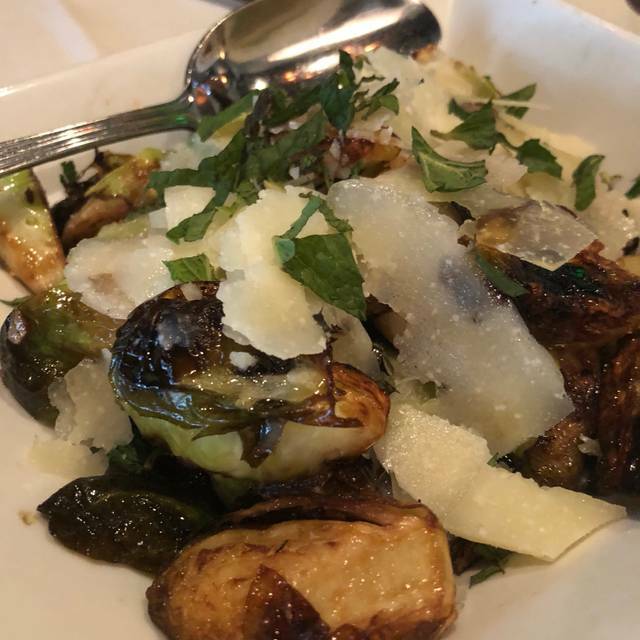 We ordered the mushrooms and Brussel sprouts as appetizers. Both were wonderful. My friend and I had the branzino as our entree. 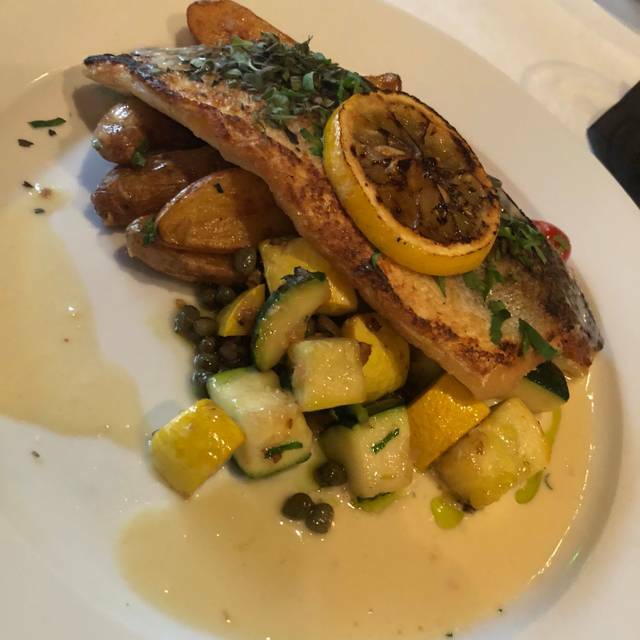 It was probably the best branzino I’ve ever had! So delicious. She and I both devoured ours. My husband had the scallops, which were huge and delicious. 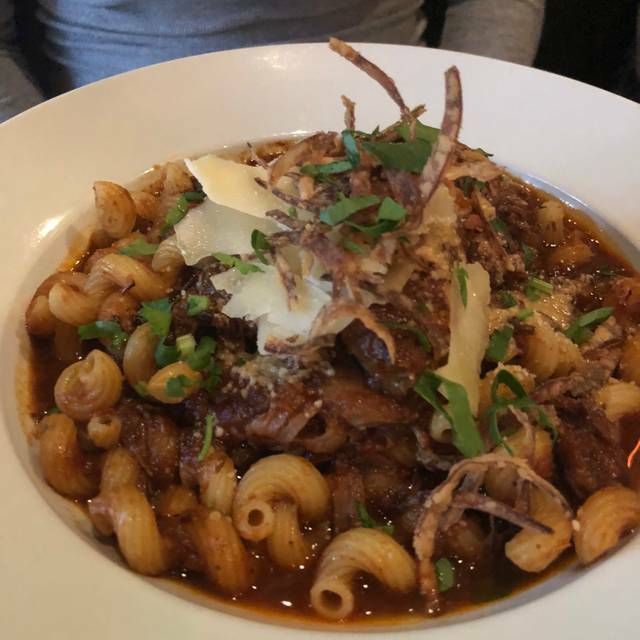 My friends husband had the special, which was a veal ragu served over pasta. All our portions were fairly large and we all enjoyed very much! Service was attentive. We will be returning to Pearl District again soon. Great flavors in unique combinations. We were trying each others entrees to sample them all and they all were fantastic. Everyone at the table went home happy! Food is consistently good here! Lovely ambience, great wine! Nice staff! 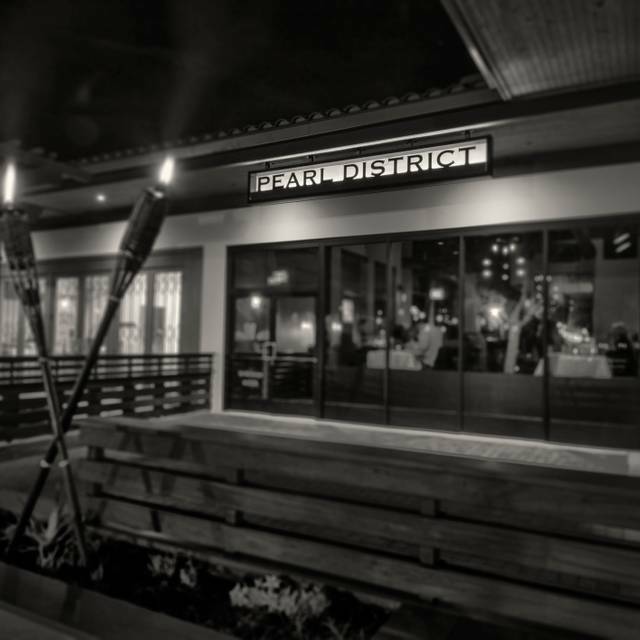 Pearl District is the best restaurant in Westlake/Thousand Oaks. The menu features a terrific set of appetizers, with some reliable choices, including a 6 minute egg, salt & pepper shrimp, and 4-6 additional choices that usually include something with pork belly. This time we went with ahi crudo, wild mushrooms, spanish octopus, a duck special, and the gravlax. All were terrific, although the wife didn't love the presentation of the crudo. I gave the ambiance a 4 because the back room (where we sat) doesn't have much going for it. If it's a special occasion, request the front room.